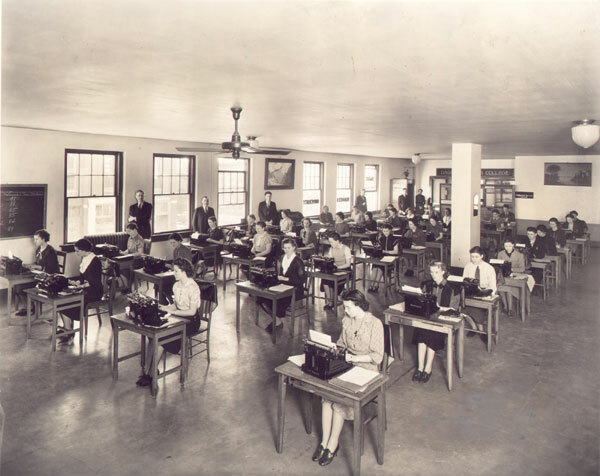 Description: Students in typing class at Dague Business College, 117 1/2 South St. Francis Street. Keywords: Wichita, education, business and industry, people, Dague Business College, schools, students, typewriters. 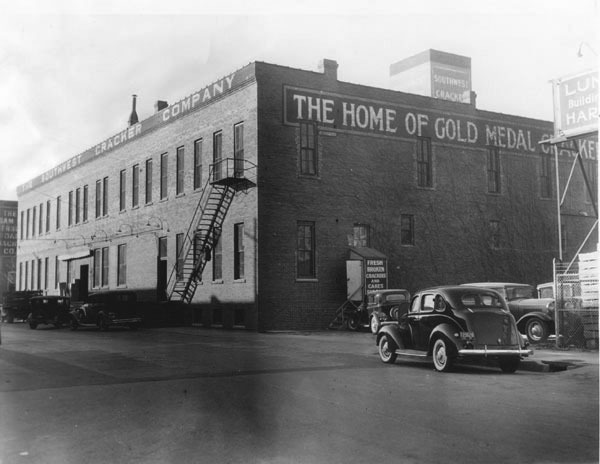 Description: Southwest Cracker Company warehouse at 205 South Wichita Street; "The Home of Gold Medal Crackers." Keywords: Wichita, business and industry, Southwest Cracker Company, Gold Medal Crackers, warehouses, factories, foods. Description: Emery's Service Station, located at 254 North Water. 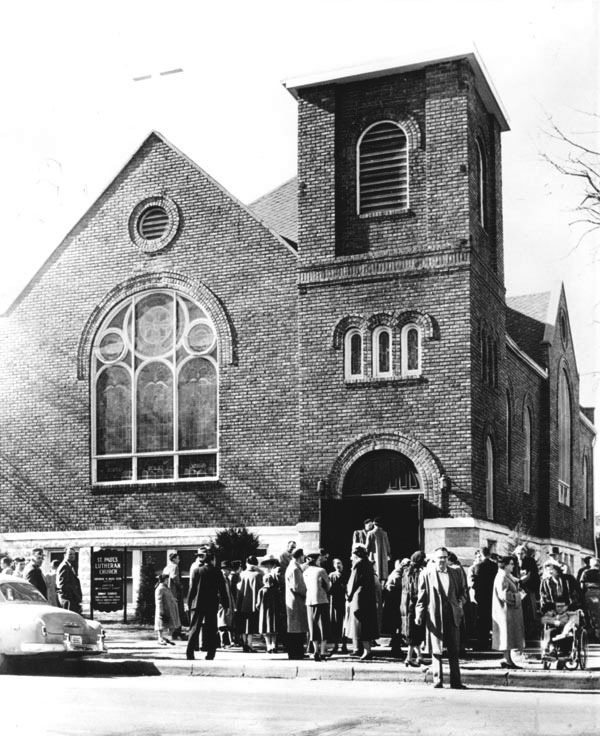 Emery M. Lieurance was the owner. Keywords: Business and industry, automobile, billboard. 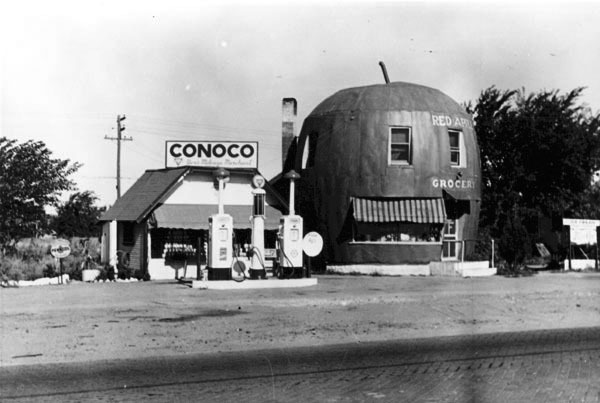 Description: Red Apple Grocery and Conoco Station. Located at 3421 North Broadway. Keywords: Business and industry, commercial building, filling station. 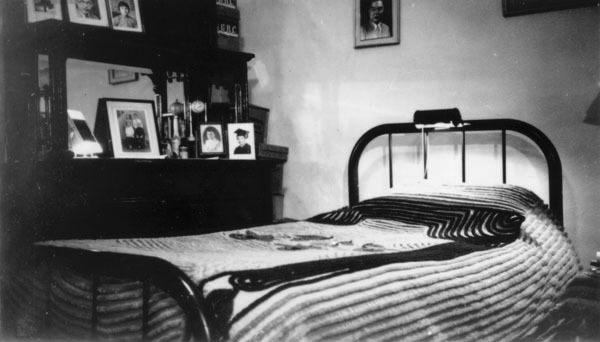 Description: View of bedroom in rented room above the popular Chinese-owned restaurant, the Pan-American Café at 152 North Market. The room was occupied by King Mar, who managed the café for 51 years (1928-1969). Keywords: Chinese Americans, Asian Americans, residences, homes, domestic scenes, furniture, Wichita. 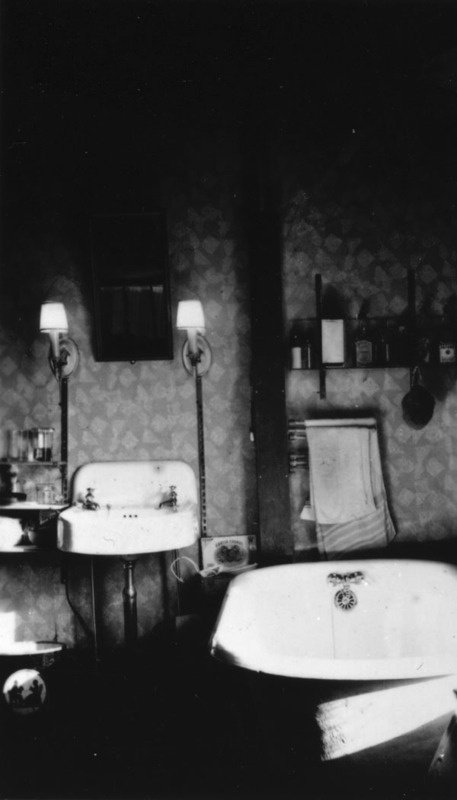 Description: View of bathtub and sink in rented room above the popular Chinese-owned restaurant, the Pan-American Café at 152 North Market. The room was occupied by King Mar, manager of the café. Mar immigrated to the United States in 1914. Description: Looking west at façade of Miller Theatre, 115 North Broadway. 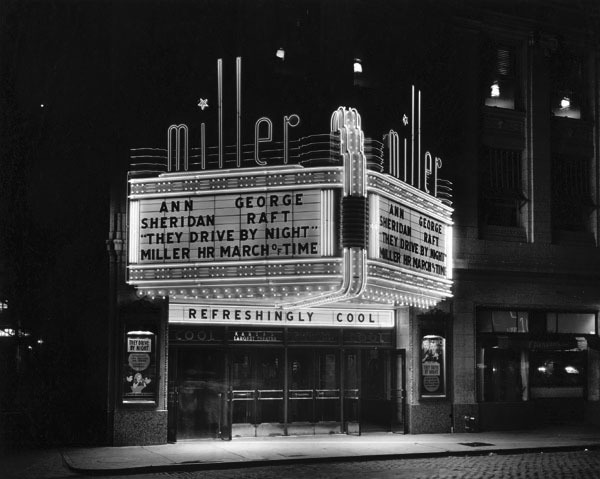 The Miller opened in 1922 with a seating capacity of 2000. In 1928 it presented the first “talking” motion picture to be shown in Wichita. In addition to films, live stage shows, music programs, and celebrity appearances were also featured at the theater. The movie house closed in 1970 and was razed in 1972. 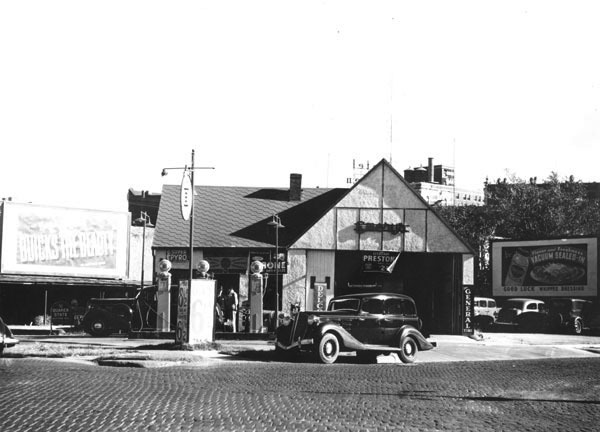 The restaurant at right is Garvie’s at 117 North Broadway, which opened in 1940. Keywords: Arts and entertainment, business and industry, sports and recreation, movies, films, neon, Ann Sheridan, George Raft, architecture, Wichita. Description: Musical group identified as Gage Brewer's Versatile Radio Orchestra. Group leader Gage Brewer is standing at left of woman vocalist. 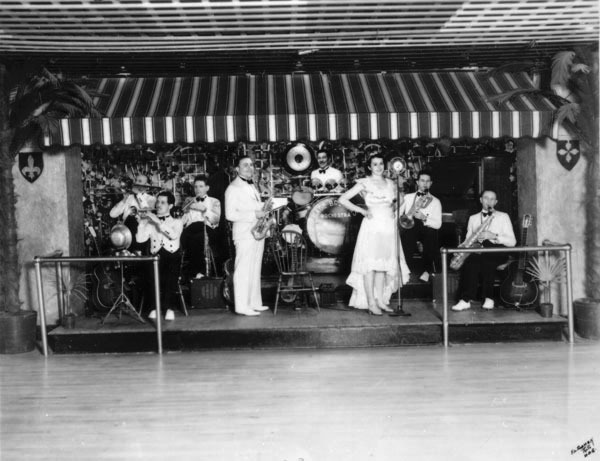 Keywords: Arts and entertainment, business and industry, musician, dance bands, brass instruments, percussion instruments, steel guitars, public events, Wichita.